Want to impress your woman with an luxury item that is not as hefty as a diamond ring? How about a very expensive chocolate? The Connecticut-based Knipschildt Chocolatier is home of La Madeline au Truffe, a chocolate truffle that was recognize by Forbes magazine as the most luxurious chocolate in the world. Why so? This confection is made from 70% Valrhona dark chocolate, heavy cream, sugar, truffle oil, and vanilla as its ganache. It is then filled with a rare French Perigold truffle before being enrobed in Valrhona dark chocolate and coated with fine cocoa powder. 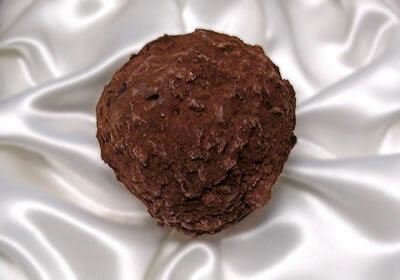 A piece of this truffle costs US$240 a piece or $2,600 a pound. It takes 14 days to create this delightful confection and has a seven-day shelf life.